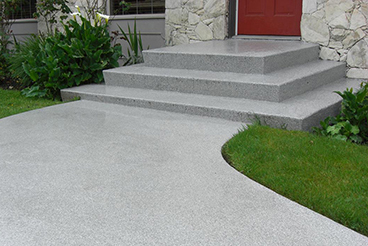 Flexstone membranes are without a doubt the most durable sundeck coatings on the market today. 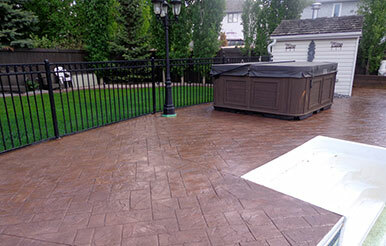 Flexstone was originally formulated for use on ski-resort decks as a membrane that could hold up to brutal weather conditions and heavy foot traffic. 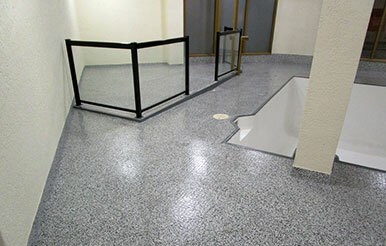 The coatings' unprecedented success led to an expansion to other industrial markets like vehicle parkades, industrial flooring, and ship decks. 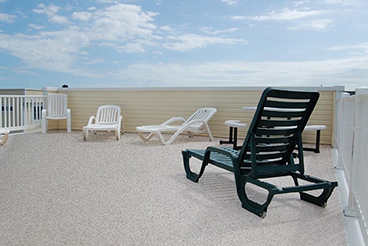 Because Flexstone was able to handle vehicle traffic, dramatic temperature fluctuations, and heavy foot traffic - we decided to cater to the sundeck coatings market. 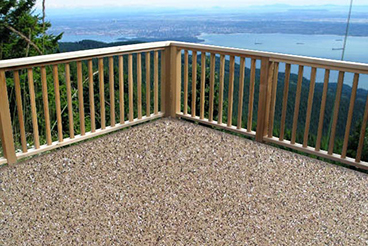 On a typical residential sundeck, Flexstone will last indefinitely. We know this because it passed the difficult trials associated with it's former applications (the ship decks, ski resorts, and parkades mentioned before). NOTE: Flexstone is also fully CCMC approved (CCMC website). Garage Frontiers’ pool & hot tub coatings have proven to be the most effective long lasting protection for swimming pool & hot tub surfaces. This is due to the fact that our coatings cure to a very hard, non-porous finish that is insensitive to pool chemicals, ph balance and automatic pool cleaning machines. 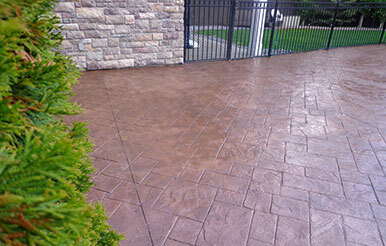 Their "ceramic-like" qualities create a fresh and inviting appearance that will be easy to clean and extremely durable. Garage Frontiers’ swimming pool and hot tub coatings are available in numerous colours, offer exceptional UV & abrasion resistance and are formulated to withstand both fresh water, salt water and chlorinated services. These formulation are engineered specifically for underwater applications and can withstand a wide range of temperatures making them the perfect choice for swimming pools and hot tubs. In addition to our ceramic like coatings, Garage Frontiers also offers a “Rubber Based Swimming Pool Paint” which provides a durable low-sheen finish. It delivers excellent chemical and abrasion resistance and is suitable for use in fresh, salt water or chlorinated pools. 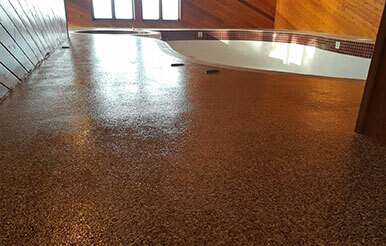 Our Rubber Based Swimming Pool Paint can overcoat previous chlorinated rubber paint or synthetic rubber-based pool coatings over fiberglass, steel, bare concrete, marcite, gunite, or other masonry surfaces in good condition. 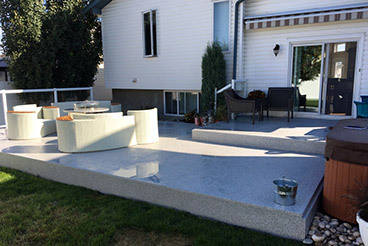 In the greater Edmonton area, Garage Frontiers is the trusted swimming pool restoration company for home owners, hotels, community leagues, municipalities, schools and building maintenance professionals. Our staff is fully trained and certified in the application procedures required to resurface your pool or hot tub.